A few people have asked me if I will make them a gluten free cake, and without hesitation, I say no. I have minimal experience with gluten free baking, and honestly, even less desire to spend time experimenting with it. Not to mention, I barely have enough cupboard space (we don't have a pantry in our condo) to keep just one or two types of flour, let alone the variety of flours, powders and starches typically used for gluten free baking. That said, I do keep small bags of almond meal and coconut flour - which I try to use sparingly since they are so expensive - for the occasional recipe I want to make without all-purpose flour, which came in handy one morning when I thought I would try making pancakes for breakfast with no flour or refined sugar. 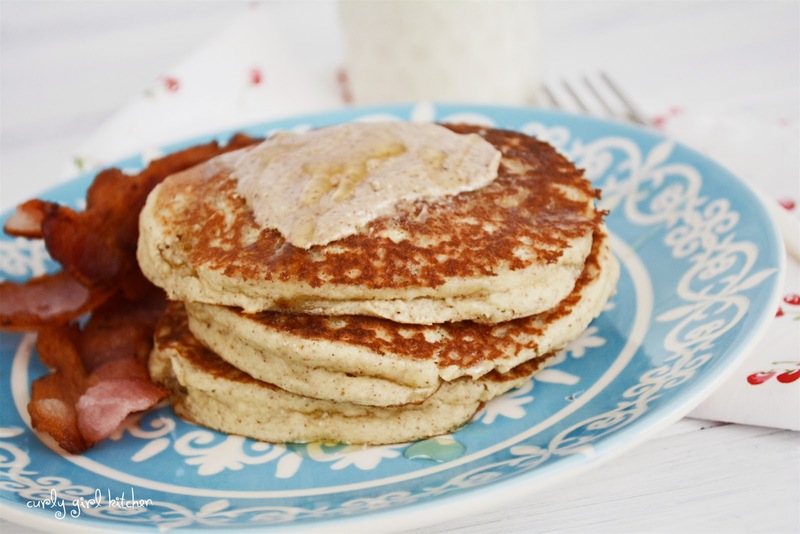 These pancakes are light, fluffy and delicate, naturally sweetened with bananas and completely delicious. 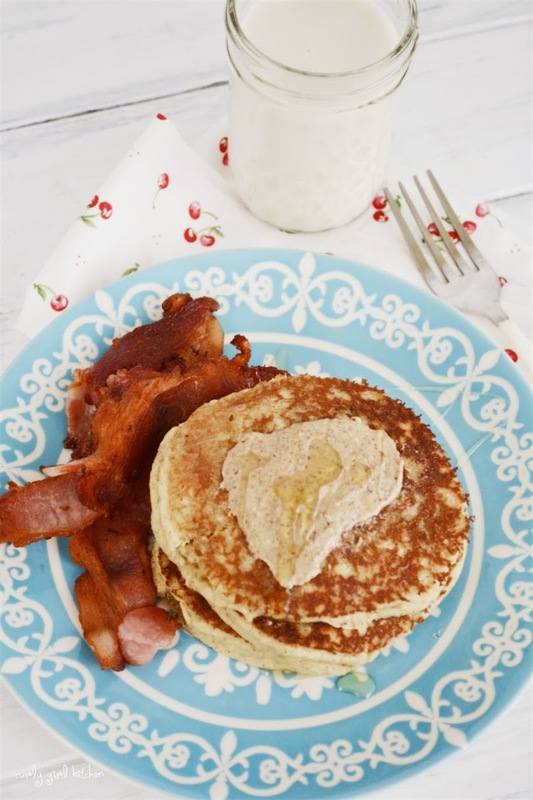 I topped mine with a spoonful of almond butter and a drizzle of honey, and I loved that the pancakes tasted like a treat but were so full of so many healthy ingredients. Baker's Note: These pancakes are more delicate than pancakes made with gluten (all-purpose flour) and are very light and fluffy. If you like, you can top your pancakes with more sliced bananas or toasted almonds, almond butter, maple syrup, or honey. Preheat a griddle to 325. Combine all ingredients in a blender and blend for 30 seconds. Brush the griddle with 1 teaspoon coconut oil. Use a 1/4 cup to measure batter onto the griddle and cook on one side for about 4 minutes before gently flipping and cooking the other side. Repeat with the rest of the batter, brushing the griddle with more coconut oil between each batch. Without gluten, these pancakes are more delicate than pancakes made with all-purpose flour, and are very light and fluffy.